I hope you enjoy browsing my new blog design…and if you haven’t signed up for my email list, I’d love to have you join to get the latest updates and special opportunities. I’ll start it off by offering you some amazing deals over the next few weeks to celebrate my new “look” and the upcoming holidays! Just CLICK HERE to sign up! This time of the year is challenging for everyone…think of ways to take care of YOU so that you can survive these last weeks in the trenches. Plan engaging lessons that will be fun for you AND your students and watch the days zip by. Watch upcoming emails for some freebies and teaching ideas to help you do just that! 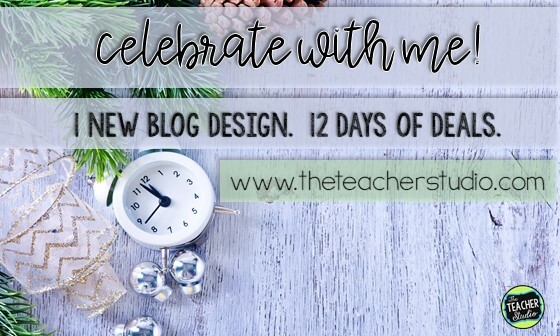 As 2018 comes to a close and we look ahead to 2019, I look forward to sharing lots of exciting new teaching ideas here at my new blogging home!